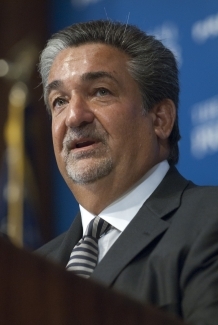 Ted Leonsis, owner of the Washington Capitals and Wizards, speaks at a July 13, 2011 National Press Club luncheon event. 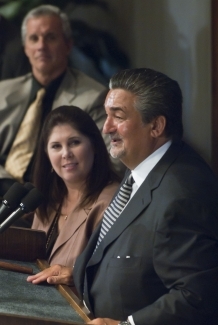 Ted Leonsis, owner of the Washington Capitals and Wizards, speaks at a July 13, 2011 National Press Club luncheon event. Also pictured, seated (L to R): NPC President Mark Hamrick and Zach Leonsis. 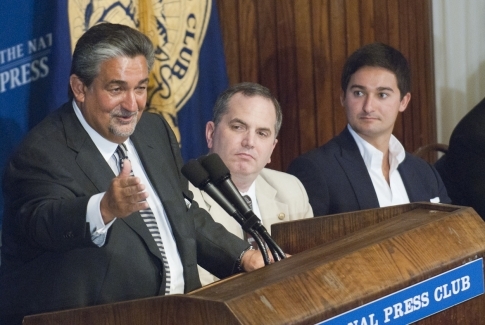 Ted Leonsis, owner of the Washington Capitals and Wizards, speaks at a July 13, 2011 National Press Club luncheon event. Also pictured, seated (L to R): NPC members Bob Carden and Melissa Charbonneau.